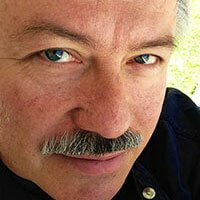 Join us as Joel D Canfield shares 6 Tools to Make Writing Resistance Irrelevant. Joel D Canfield has written 15 books, over 150 songs, and thousands of blog posts. Six of his books were released simultaneously on 11/11/11. He has helped many experienced business people write and self-publish their first business book. He knows firsthand how to make Resistance irrelevant and specializes in coaching aspiring authors to do the same. Learn more about his services at http://somedaybox.com.